Today marks the start of a new chapter for Caitlyn Jenner, formerly known as Bruce Jenner. Having chosen Vanity Fair magazine to showcase her completed transition, and to open up about why now is absolutely the right time. The article is accompanied by a stunning photographic set shot by Annie Leibovitz over two days, but aside from the amazing photographs that show Caitlyn looking like a hollywood pin-up, lets not forget that there’s a real story of personal struggle behind those glossy images. In the feature written by Buzz Bissinger, Caitlyn opens up about the feeling of relief when the secret was finally out. Talking about the last few days of her transition, Caitlyn compares it to winning the gold medal for the decathlon at the 1976 Olympics as Bruce. Jenner discusses her children and admits that as Bruce, he made mistakes, particularly with Burt, Cassandra, Brandon and Brody, and talks about periods of absence from their lives which he wished that he could change, talking about the future, Jenner says that she hopes that Caitlyn is a better person than Bruce was and seems hopeful. Jenner says that her children have been amazing and supportive throughout the transition and that she couldn’t have hoped for a better family to go through it with. Behind the scenes, before the story was played out in the media, each of Jenner’s children, including Kendall and Kylie were told of what to expect and how it would unfold in real time so each had time to adjust before the media grabbed the story and ran with it. She talks about their support and how it drove her on to complete her transition and made her less afraid. Talking about her eldest daughter Cassandra, she tells Bissinger that she first introduced Cassandra to Caitlyn at a scheduled “Girls Night” and how although nervous at first, that melted away almost immediately. Lets not forget that Bruce Jenner lived with this agonising secret for 65 long years, unable to live the life that he wanted to lead. So before you think about trolling, or posting abuse, or poking fun, just don’t. If this is what it takes for Caitlyn Jenner to be happy then the surgery and everything else has been worth it and looking at the images, it was worth the wait. 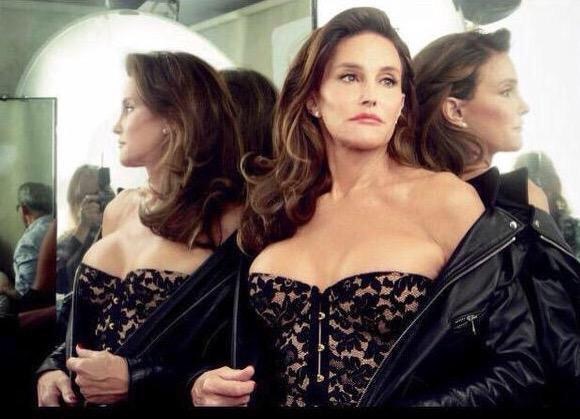 Caitlyn Jenner, I salute you, you brave, gorgeous woman. Vanity Fair, the Caitlyn Jenner issue hits news stands June 9th and is available to download via the app store. Doesn’t she look amazing?! Absolutely incredible. What an inspiration she is.